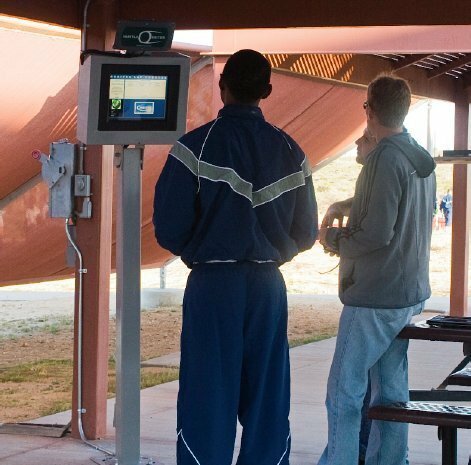 Timing Fitness Assessment Test is often a career make or break decision, the importance of accuracy can not be under stated. 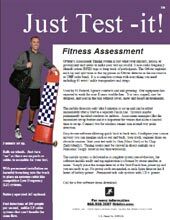 Fitness testers are aware of human error that comes with manual systems such as transposition of numbers that can be significant. Especially, errors when timing hundreds of people daily on bases with thousands of service people. 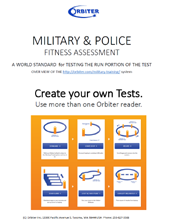 For Military and Police Fitness Assessment tests the Orbiter Microwave system is recommended. The Microwave system has robust reads that out perform standard UHF passive systems commonly used for typical running events. 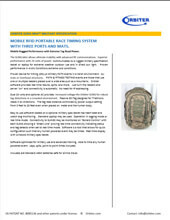 Orbiter’s patented method is the only Microwave tag system with 5 year predictable life. No recharging of the batteries makes it ideal for military applications. 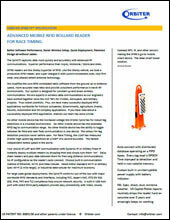 The software was designed with the help of military fitness assessment personnel. Special features are customized to meet your needs. 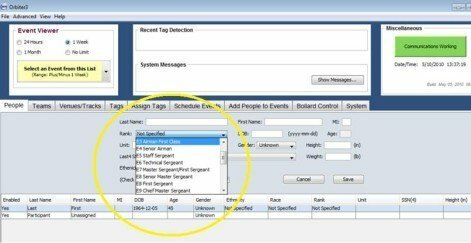 For example, “Cloning” events so tags may be traded between tests, and tests set up with just 4 clicks of a button. 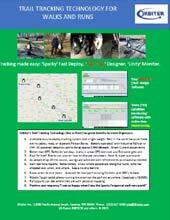 The option of using both total times and split times. Knowing split times is important on loop tracks because the results are easily audited to be correct and the number of laps run confirmed. 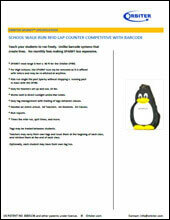 Our software has been used for over 10 years, and has the ability to use a standard track or metric track. Configurable for any type of run. Out and back, 6 laps, 18 laps and more. Individual chip time starts or mass gun starts. Plus, a database that has all the right fields often desired by the military and police. Advanced reporting too. Use the optional Tough Tablet, and see the results as they happen track side. Call out to participants results in real time. Our patents make Orbiter is eligible for “Sole Source” procurements. No other timing system has the same important features of quick set up, rugged all weather construction, time accuracy, and functionality. 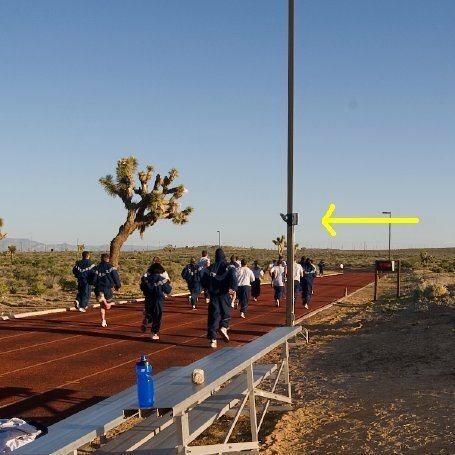 The long range ORBITER easily tracks a company (100 each) of recruits for the 6 laps around a 1⁄4 mile. “The Orbiter worked great, it was right on time with our manual timers. It actually corrected some issues with time inversions; 14:43 vs 14:34 that we corrected once we ran the report. It performed flawlessly. (1) a mobile ORBITER, and (2) one that is permanently mounted for 24/ 7/ 365 day use that includes a full color display, and (3) a flat wall mounted Indoor Orbiter. Users may gain instant results in all weather conditions next to the path. Two systems – mobile system and permanent track side system. Permanent system can be pole mounted outside or inside. Portable system has just three minute setup. No cumbersome mats need to be laid. Mats tend to wear out and get very dirty over time. The Orbiter system uses wireless communications to the host computer. 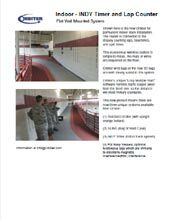 Wireless operation from the track side reader to the Fitness Assessment Station with military approved radio device for use on military bases. Permanent mounted Orbiter on pole next to track counts laps and time 24/7. Can also be mounted permanently on indoor track. As runners pass the start / finish line the times are shown on optional LED as they pass each lap. 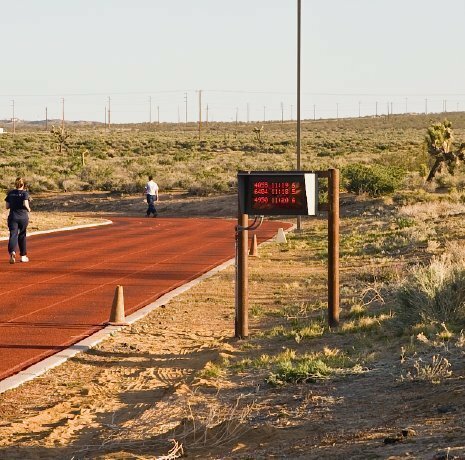 In the warm up area, the optional results display detects individuals standing in front of the display and automatically displays run lap time and history.